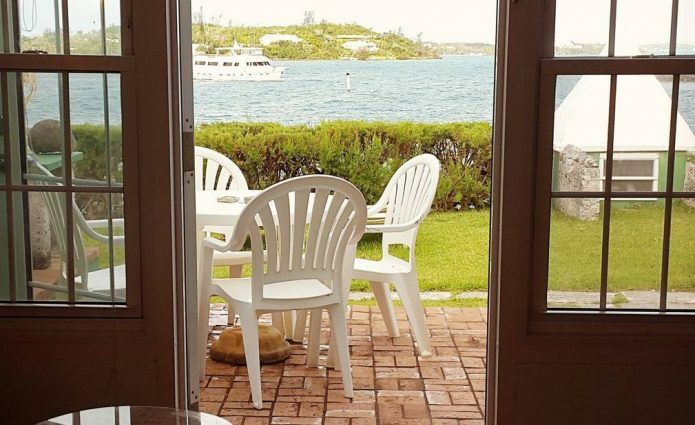 Award-winning Greenbank Guest House & Cottages, run by the Ashton Family for more than 60 years, is a historic property with over 300 feet of water front on the Salt Kettle Peninsula just minutes from the City of Hamilton in picturesque Bermuda. Our mature sub-tropical gardens and spacious lawns overlook the water and scenic islands dotted through the Great Sound. The main house of Greenbank is approximately two hundred years old. Most of the old cedar beams were used as ballast in the old sailing ships that used to ply their trade between Bermuda and the North American and European continents. There is a story that one of the cottages on the premises was the overseer’s office during the time that salt panning was a prominent business in Bermuda. The Salt Kettle Peninsula was named accordingly. Our cottages and apartments are en suite, with fully equipped kitchenettes and patios overlooking the gardens or scenic water views. Two of our units, double rooms without kitchens, are served a continental breakfast on a tray to your room. One of the special attractions to staying at Greenbank is the convenience of the Salt Kettle ferry landing – only a minute’s stroll away which will quickly transport you to Hamilton where a variety of restaurants, shops and entertainment await you. Or if you prefer a quiet evening we would love to have you share one of Bermuda’s spectacular sunsets with us. Greenbank was honoured with The Hibiscus Merit Award by the Bermuda Department of Tourism. Enjoy the water views while lounging in your bed. This beautiful room looks straight out over the water with a queen bed, original wooden floors, lovely high tray ceilings, small fridge, microwave, coffee machine, free Wi-Fi, private telephone line, private four piece bathroom, in room safe, cable television and spacious patio overlooking the water. This room also includes our continental breakfast served to your room in the morning on a tray. 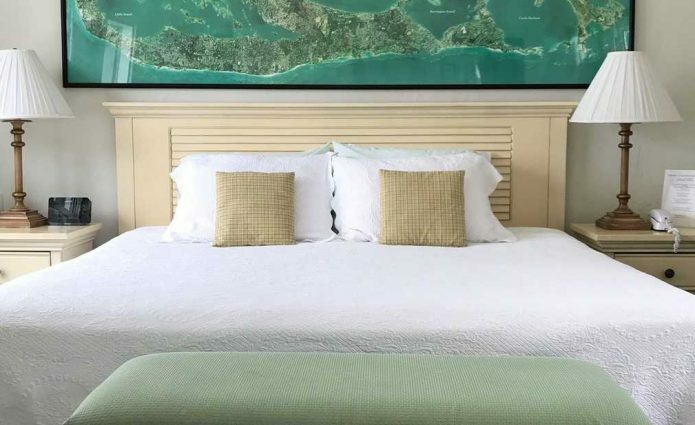 With expansive views of the water front, these spacious rooms offer a king bed, lovely high tray ceilings, free Wi-Fi, private telephone, four piece private bathroom, in room safe, cable television, fully equipped kitchen and large patio for lounging and dining. Location and grounds were excellent, and the manager Melanie – is wonderful. Super clean. Wonderful location. Great room.